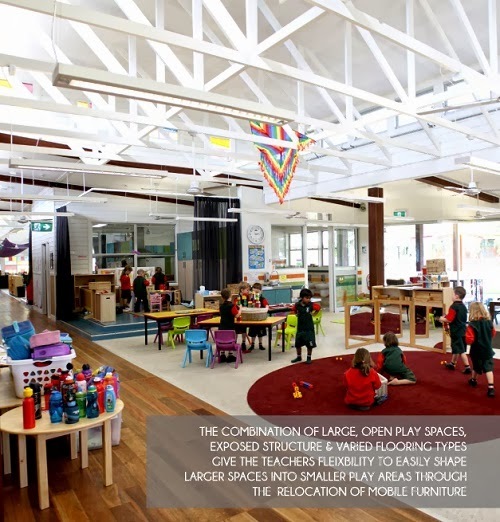 The spatial layout consists of two "classrooms" or play spaces, connected by a central kitchen, stage areas and toilets. 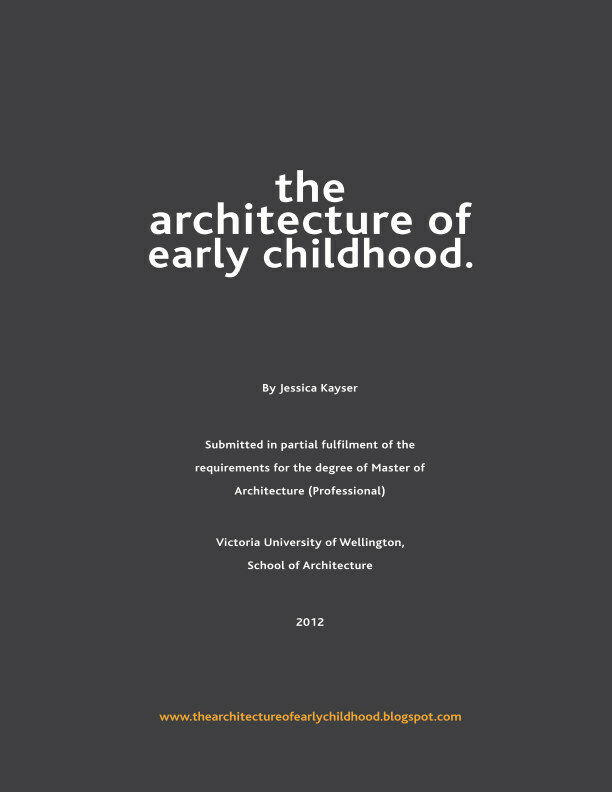 Thus becoming the central "hub" of activity and of kindergarten life. Furniture, joinery and furnishings simultaneously work to create a series of "zones" catering to varying moods and activities. Large vibrant retro armchairs creates a special place to sit and reflect. 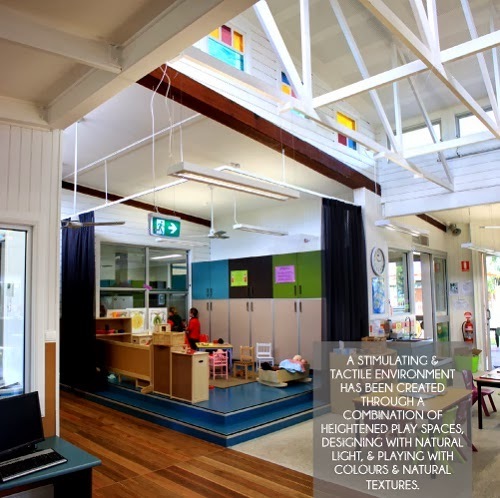 The kindergarten also considers the Reggio approach of bringing the outside in. 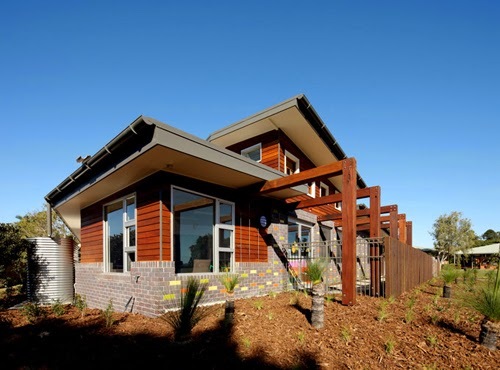 The many windows and doors create a light-filled interior, and clerestory louvred windows allow for natural flow of air to ventilate the space. 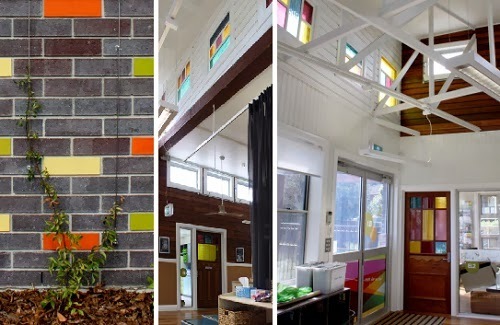 Playful details, such as the scattered coloured brick (left) and the locally made stained glass windows (right) create a sense of identity and ownership. In future it is envisaged passionfruit vines will adorn the brick walls. 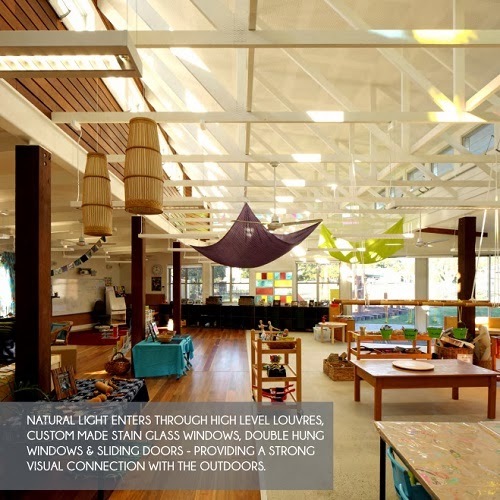 Many colours (such as the locally made stained glass windows) and materials (most natural) work to create a highly sensory and tactile environment. 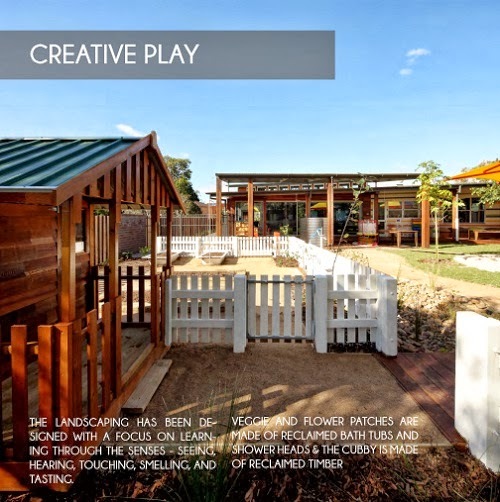 Play houses encourage role-playing.... and winding pathways encourage movement. 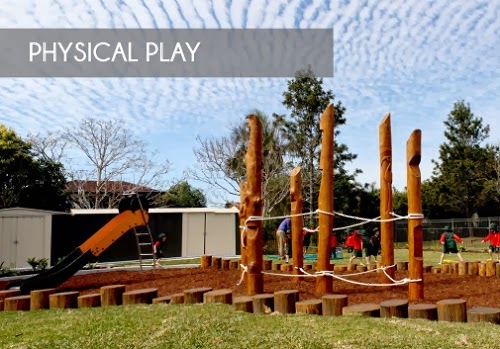 Ropes, slides and stepping trunks improve co-ordination and test the children's physical capabilities. 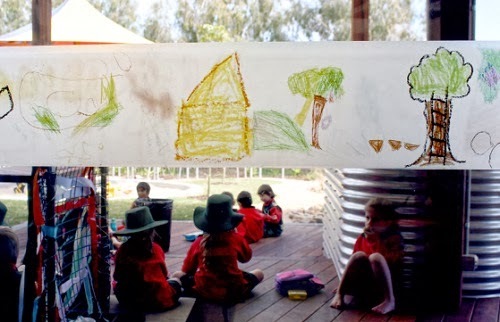 St Paul's Kindergarten successfully creates a rich environment that demands children to interact with and own as theirs - turning the Reggio "many languages of children" idea into reality.